Banner Year for Landscape Construction Awards! We are especially proud of our construction division this year. 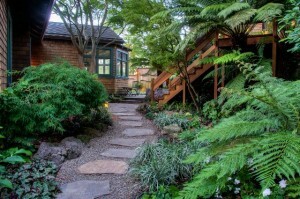 Gardeners’ Guild received three awards for a construction project in Mill Valley. National, State and Regional landscape trade organizations have recognized our exceptional work! The National Recognition was first place. 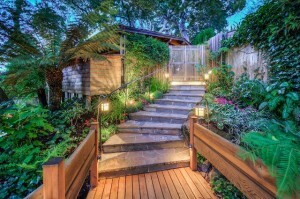 The property is situated on a steep slope overlooking the Mt Tam. The homeowners wanted more outdoor living space and their Landscape Architect, Rebecca Coffman hired Gardeners’ Guild to do the installation of her design. The work involved terracing to create additional level outdoor space. A 7′ retaining wall, requiring extensive engineering was constructed. It was integrated into new and existing levels, staircases and pathways. Wood decks, flagstone stairs, extensive planting, soil amendments, irrigat ion and outdoor lighting were other components of the project. https://www.gardenersguild.com/wp-content/uploads/gardenersguild-logo.jpg 0 0 sharris2011 https://www.gardenersguild.com/wp-content/uploads/gardenersguild-logo.jpg sharris20112013-11-19 19:42:432013-11-20 22:27:40Banner Year for Landscape Construction Awards!